The Penthouse guestrooms at the Moana Surfrider feature spacious private lanais with impressive views, lavish baths, and bedrooms with two double beds or one king-size bed. 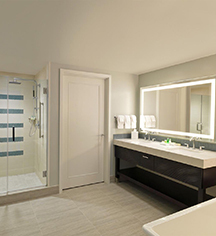 The Penthouse guestrooms are equipped with LED lit mirrors, wash lets, a tub and separate Westin Heavenly shower, along with a his/her dual sink vanity, Westin's signature Heavenly Bed®, signature spa products, a 32" LCD television, complimentary Royal Kona coffee, select Tazo Tea, and refrigerators. 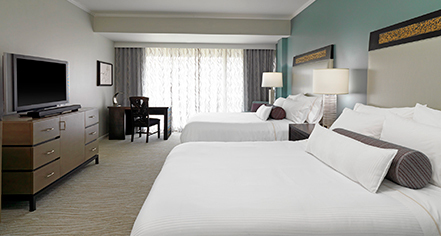 These generously sized guestrooms easily accommodate a rollaway.